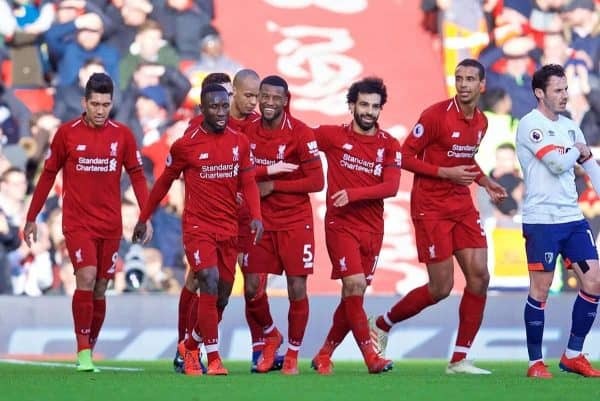 Liverpool were back to their best on an afternoon that required a response, thrashing Bournemouth 3-0 and returning to the top of the Premier League. With Man City retaking top spot in midweek—after an unsurprising win against Everton—Liverpool’s game against Bournemouth took on an even greater meaning Saturday afternoon. The Reds had been accused of ‘bottling’ their last two games, in back-to-back draws with Leicester and West Ham. 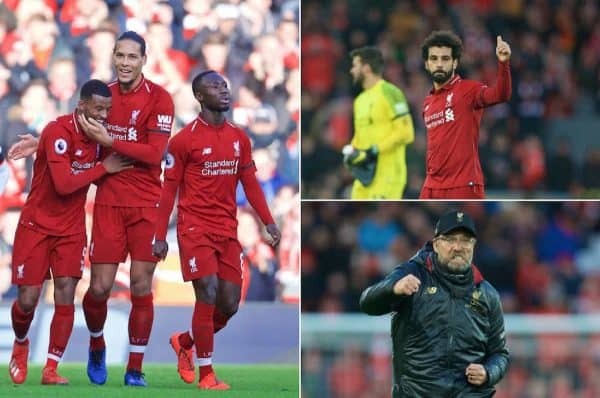 It was an extraordinary label: Jurgen Klopp‘s side had overturned a two-point deficit and victory allowed them to once again sit three points clear as Premier League leaders. Pre-match Klopp had spoken about just how important the Anfield crowd were to his players, and the Liverpool faithful duly responded. The flags, scarves and voices were out in full force in a fixture that witnessed the return of Liverpool’s scintillating football. 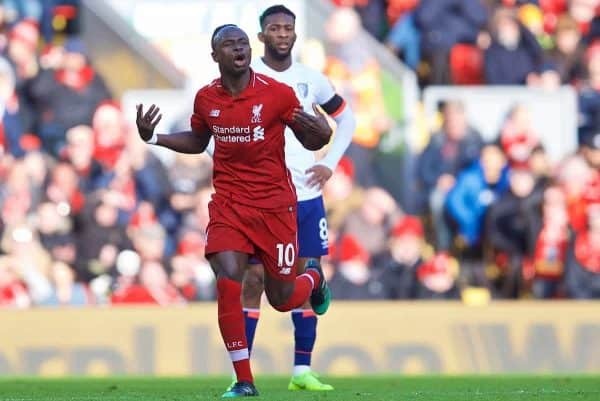 Sadio Mane opened the scoring on 24 minutes, his header from a James Milner cross was the Senegalese forward’s fourth goal in four consecutive games—the first time he has achieved this in the same season in the Premier League. 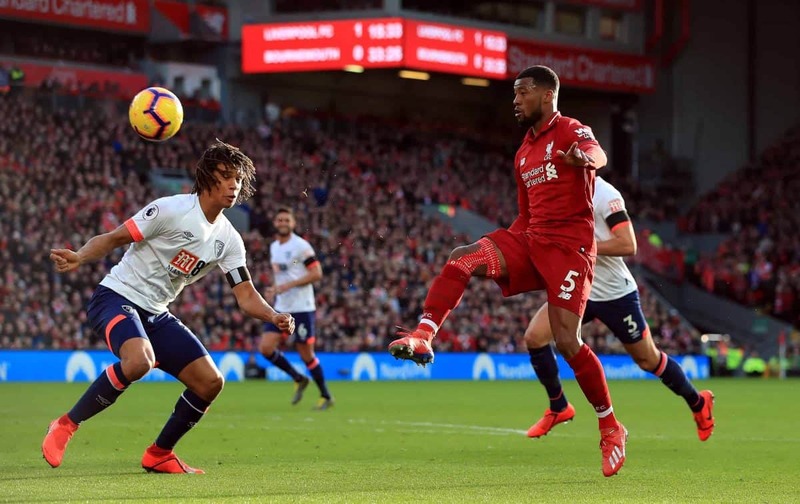 Gini Wijnaldum returned to the starting lineup and put in a superb performance, playing in an advanced role the midfielder was a constant thorn in the Cherries’ side. His day was capped off with his second goal of the season. Taking the ball down with a brilliant touch he then nonchalantly chipped it with the outside of his boot: the ball looped into the net. Mohamed Salah was on the hunt for his 50th Premier League goal for Liverpool, starting the day just two shy he looked in the mood to rectify the total from early on. It took the Egyptian just three minutes after the half-time break to edge one goal closer to another record. The combination of fellow forwards Mane and Roberto Firmino allowed Liverpool’s top scorer to curl the ball into the back of the net—it was another well-taken goal by the ex-Roma forward. Last season’s top scorer almost found the magic number midway through the second half but he was denied by the width of the Kop end crossbar. Naby Keita, who has found himself under some unfair criticism lately, almost added a fourth Liverpool goal on the eve of his 24th birthday. It would have been a fitting end to a sublime day’s work had another midfielder found the Bournemouth net. The combination of the starting three in the centre looks one that will serve Liverpool well over the coming weeks. At the final whistle a three-goal scoreline was a fair reflection of Liverpool’s dominance. Crucially, though, the Reds had returned to the top of the league whilst showing the watching masses they are ready for a title fight. Klopp looked pleased as punch and didn’t hold back his emotions at a return to winning ways for his side. Liverpool now depart the cold climate of England for another dose of warm-weather training. When they return from Spain the Reds host Bayern Munich in the last 16 of the Champions League.